The Ferguson Group, LLC (TFG) is a bipartisan government relations consulting firm. Founded in 1982, the firm is the largest federal representative of local governments in Washington, DC. 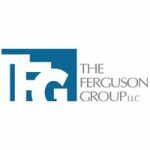 TFG specializes in securing federal appropriations, authorizations, policy, and regulatory changes for its clients. TFG’s areas of expertise include transportation, community and economic development, water resources, land use, environmental issues, defense conversion, health and human services, criminal justice, education, and housing.